On the occasion of the visit of Samuel Hess, Head of Economic Development Canton Basel Stadt und Nina Ryser, Head of Economic Development Sectors and Companies Canton Basel Stadt, we organized a day of visits to introduce them to Shanghai’s innovation and entrepreneur scene. 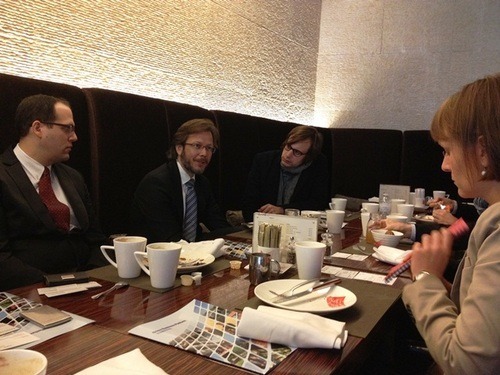 Starting the day with a breakfast roundtable discussion with three very successful Swiss entrepreneurs: Ivan Beldi, Partner Malik Management, Patrick Schaufelberger, Founder and General Manager AsiaCompete International Ltd. and André Gisiger, President Ivy League English shared their experiences of starting business in China and discussed about challenges and opportunities Swiss companies might face. Following this discussion about entrepreneurship in China from a more Swiss perspective, we visited PeoplesSquared, a co-working space for startups, to have a look at a more Chinese perspective. Bob Zheng, founder and CEO of PeopleSquared, talked about the innovation and entrepreneur scene in China. Thomas from GitCafe and team member from Girls in Tech China gave some further insights on being en entrepreneur in China. As Canton Basel-Stadt has a very strong LifeScience Industry, we visited the famous Shanghai Juke Biotech Park in Xuhui District. 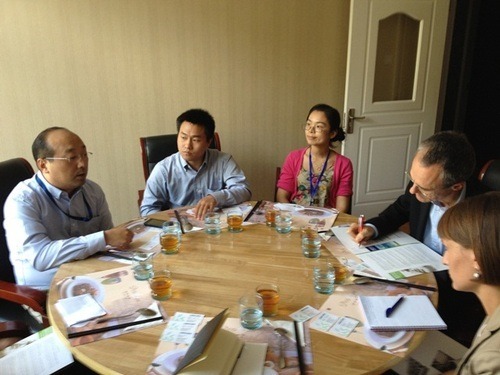 Dr. Jiong Zhang, CEO of Juke Biotech Park and his management welcomed us for a working lunch. We discussed about Biotech companies in China, future development and the situation for foreign companies interested in coming to China. Further the delegation was also very interested in sharing experiences in managing life science and technology park, as Nina Ryser is also CEO of Basel Technology Park. After this discussion we visited two startup companies in the Juke Park. 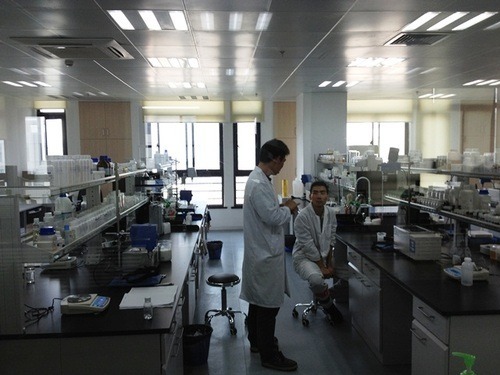 Richard LI, President of Shanghai Laibo Bio-Chemical Co. Ltd, a company that produces beauty products on bases of the Traditional Chinese Medicine TCM. 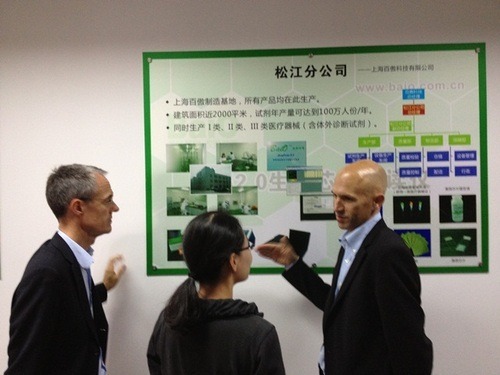 Mr. LI showed us the company’s R&D labs and explained more about the TCM products. Last but not least we visited BaiO, which develops and manufactures diagnostic kits for personalized medicine with biochips technology. 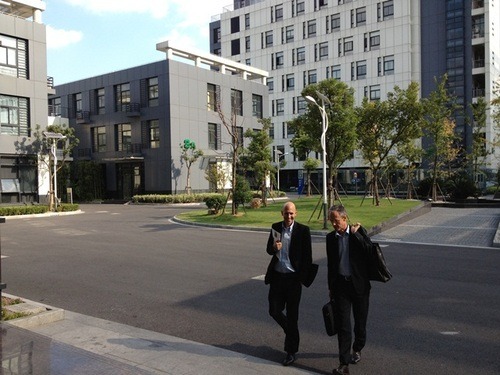 BaiO is currently working with hospitals all over China. The delegation will go back to Basel in a few days, fully packed with new contacts, impressions and ideas from Shanghai and we are looking forward to further collaborating with Shanghai’s sister city Basel!